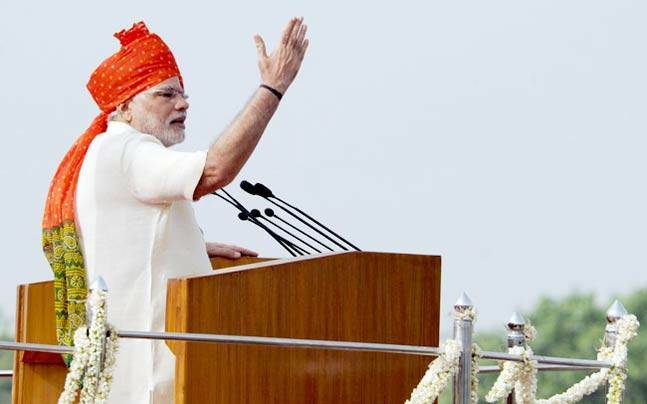 PM Narendra Modi’s Independence Day Speech 2018 India celebrated its 71st Independence Day on Tuesday with Prime Minister Narendra Modi keeping up with the tradition of addressing the nation from the historic Red Fort in New Delhi. India was freed from the British rule on this date in 1947 after a prolonged struggle by the people of the nation. This is a special year- the 75th anniversary of Quit India, 100th anniversary of Champaran Satyagraha, the 125th anniversary of Ganesh Utsav. 1st January 2018 will not be an ordinary day- those born in this century will start turning 18. They are Bhagya Vidhatas (Creators of destiny) of our nation.